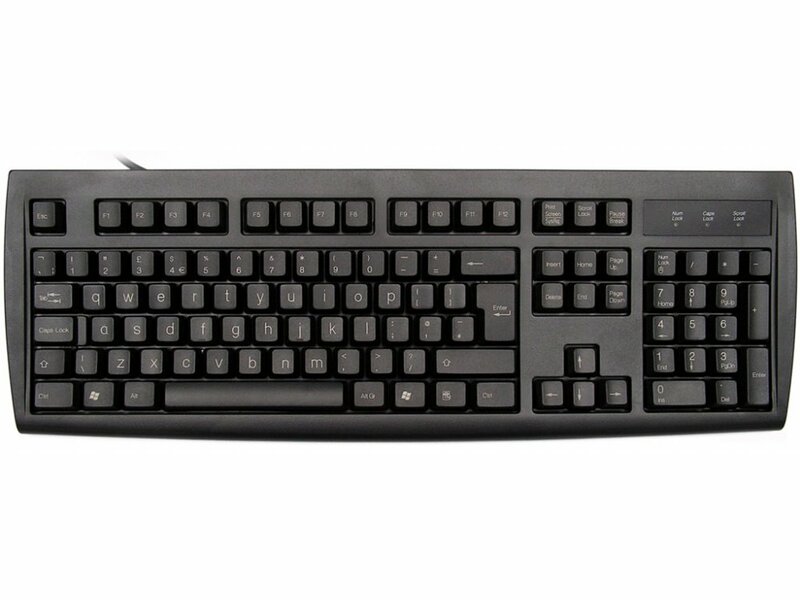 This is a standard, black, Windows keyboard, but each of the alpha keys is printed with lower case letters and NOT CAPITALS. Ideal for children learning the alphabet. This keyboard does not have the power, sleep and wake buttons (ACPI keys) and is made by Chicony.